First built as an open-air rink in the 1970s, Martha's Vineyard Arena got a roof over its head in the 1980s. 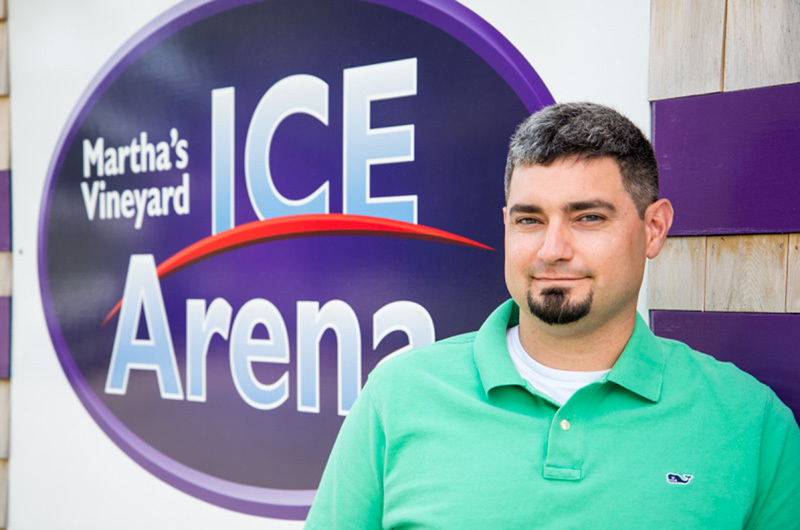 The Martha’s Vineyard Arena and YMCA announced this week that the two nonprofits have formed a new alliance; at the same time a new general manager has been hired for the Island ice arena. Peter Lambos, the well-known executive director of the Martha’s Vineyard Boys & Girls Club, will step in next month to manage the ice rink, whose history dates back more than 40 years. In addition, a strategic management partnership has been forged that will allow the Y and the arena to share administrative staff and services such as bookkeeping. Signed this week, the agreement is not a merger but could possibly lead to one in the future, leaders for the Y and the arena told the Gazette in an interview Wednesday afternoon. “It was about how bringing the two together might begin to make things work better,” said Geoghan Coogan, arena president. Both confirmed that talks, study and due diligence have been under way for more than a year between the two organizations, whose facilities are situated side by side across the road from the regional high school. 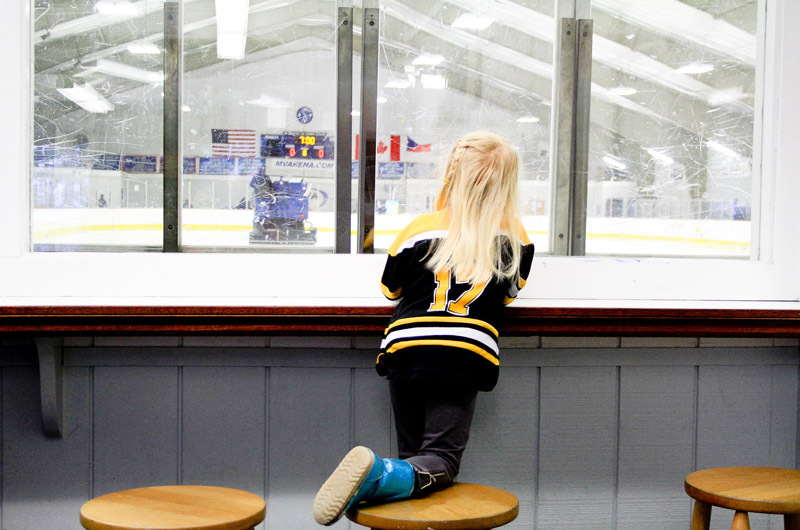 Begun as an open-air skating rink in the 1970s and built by hand by a group of dedicated hockey enthusiasts, the ice arena was enclosed in the 1980s, and today serves hundreds of Islanders through ice hockey, figure skating and other programs. The physical facility is badly ailing and needs significant repairs. The arena has an annual operating budget of $550,000 and has been without a general manager for some time. A major renovation project is planned to begin this year, although details have not been made public yet. The YMCA, situated next door to the rink, opened its new facility in 2010. It houses a pool, fitness programs and a teen center and serves as a busy community hub, year-round. The Y has an annual operating budget of $3.2 million. Under the new management partnership, the Y will provide administrative support for the arena and its smaller operation. Both Mr. Coogan and Jill Robie-Axtell, executive director of the Y, said the collaboration really came together when the arena board decided to advertise for a new general manager this spring and Mr. Lambos applied for the job. Both agreed he was ideally suited for the role. An Island native, Mr. Lambos, who is 36, has led the Boys & Girls club for the past nine years as its executive director. Prior to that he was a staff member at the club for many years and was himself a “club kid,” he said. Under his leadership, earlier this year the club was awarded a large grant from MV Youth that will be used to renovate the facility off Robinson Road in Edgartown. MVYouth is an innovative philanthropic group devoted to improving the lives of young Islanders by providing money for needed capital projects and scholarships. Mr. Lambos said he applied for the job at the arena because he was ready for a new challenge, and he believes the club is well positioned for the future. In a press release Wednesday, club leaders wished Mr. Lambos well, praised him for his leadership and hard work, and said a search will begin for a new executive director. In another press release, the Y and arena also praised Mr. Lambos. “Peter’s lengthy experience with programming, fundraising, marketing, public relations and his proven success in managing not-for-profit entities provides the arena with immediate strategic growth opportunities,” it said. Ms. Robie-Axtell and Mr. Lambos both said they looked forward to the collaboration, noting the many potential areas of overlap between the two organizations from membership to program coordination. “There are ways we can benefit each other,” Ms. Robie-Axtell said. Mr. Lambos agreed. “It’s less about what either organization needs; it’s about what the community needs,” he said. 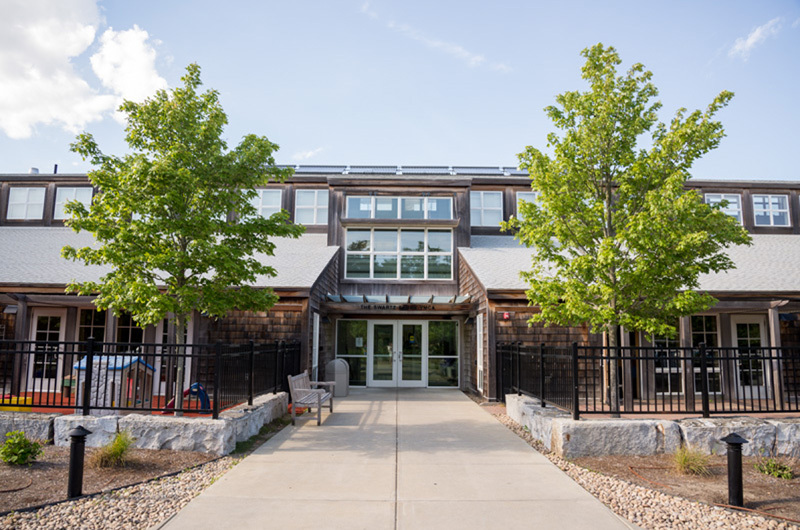 The emerging alliance between the Y and the arena comes during a time of change and transition in the sprawling campus of facilities that surround the regional high school, which owns some 50 acres on both sides of the Edgartown-Vineyard Haven Road. The high school leases land on the north side of the road to Martha’s Vineyard Community Services and the Martha’s Vineyard Skate Park. The arena owns its land, but holds a user agreement with the high school, which transferred ownership of the land some years ago. Community Services last week unveiled early concept plans to build a new facility next door and convert its existing buildings to affordable apartments. The high school land use committee is reviewing the draft plans. The skate park is about to embark on a major renovation project after receiving a large grant from MVYouth this year. A community event is planned for Sunday at the park that will include clinics, demonstrations and free helmets. Meanwhile, the arena opens with summer ice on July 11. Mr. Lambos will be on the job by then. “I’m looking forward to it,” he said, with a good-natured confession that he’s not a hockey player. “My dad said, jeez, I was kind of looking forward to the [grand] kids playing basketball,” he laughed. Congratulations to Mr. Lambos. I hope he can bring/sustain the same Island-Wide open environment to the Arena that is present at the Boys and Girls club. Something, frankly, missing at the YMCA. I also hope the B&G club can fill his former post in time to continue his great work and make the best use of the very large grant the club recently received. Great guy who has chosen to take the gauntlet of this challenge. Planning for the future with an eye to the long term needs will we see the band aid approach used on the high school structural issues be replicated here ? Hopefully not, this man is a rock and everyone knows we will not see the turnover in leadership the high school evolves through. To use an alias to compliment an individual strikes me as an insult.